ideal for the home, conservatory, office or factory. Room Thermometer - This wall-mounted room thermometer is spirit filled and is ideal for the home, conservatory, office or factory. 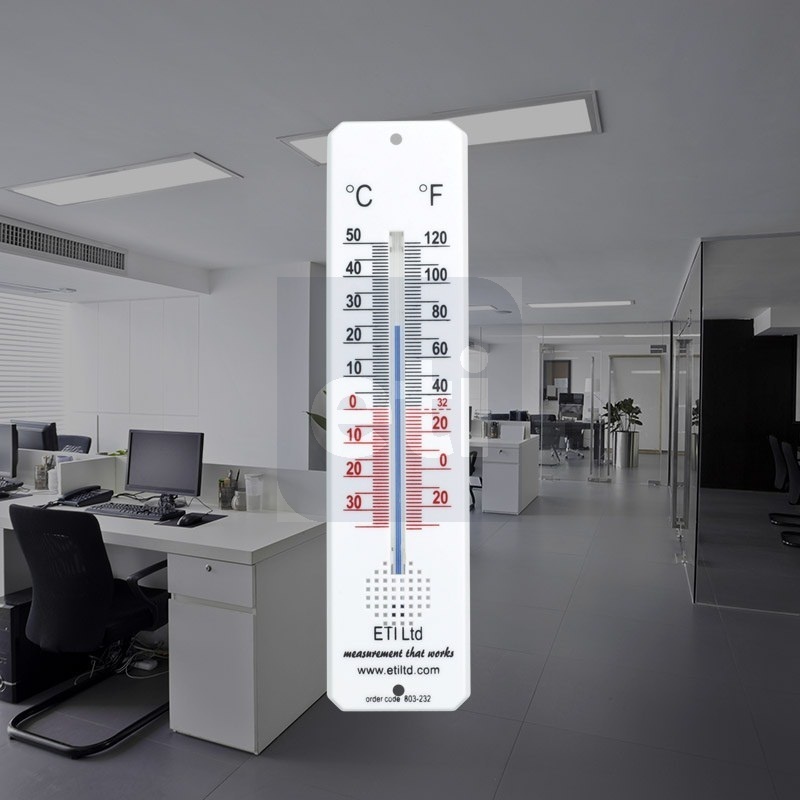 The room thermometer displays temperature over the range of -30 to 50°C with an accuracy of ±1°C.